I’m a sucker for the violin; always have been, always will be. I am listening to it now in fact: the John Williams soundtrack to Schindler’s List. It’s quite frankly one of the most moving pieces I have ever heard. From when I was a young girl, I’ve always found the violin to be full of emotion. Unlike the cello it could dance with happiness and cry with melancholy. The cello, I always considered, just cried. Actually the cello wept and mourned, it sobbed and oozed its sorrow from the hollowness within; the fingers of the musician playing it like tributaries to a giant lake of molten sadness. In cello land it rained and night fell over it like a dark velvet curtain. When I hear the cello playing Bach, Suite No. 1 in G Major, it personifies beauty but a mature beauty steeped in aristocratic lineage. In violin land, every season exists. Vivaldi must have thought so too when he wrote ‘The Four Seasons’. My parents were both teachers and we would spend long summers in France. Those car journeys to France in the yellow avenger were memorably long. We didn’t have I Pads at the time and I frequently find myself reminding my own two children of this. When my brother, sister and I were not fighting over our back seat territories, we stared out of the window, played I Spy and listened to music; music of my parents choosing. I can still visualise the tape cassette covers to this day! I grew up listening to, amongst many others, French jazz violinist Stephane Grappelli as he played with the gypsy French/Belgian guitarist Django Reinhardt in the Quintette de Hot Club in Paris. Django only had 2 fingers on his left hand, amazingly enough. The group started out just before the Second World War, disbanding in 1939 just before its outbreak. They reunited briefly in 1949. For me, Grappelli made the violin laugh and laugh and laugh. When he played, it was spring everywhere. Except maybe in ‘Jenna’ where he played with the Scottish guitarist Martin Taylor on the album ‘Reunion’. Here the violin was full of longing and honey sweet with yearning. It was the song I once imagined having played at my wedding in a little courtyard in a village in Southern France somewhere, or on the edge of a fishing harbour with lanterns twinkling in the moonlight. Here it is a little sad but oddly whenever I heard it, it made me feel complete as it poured my heart with honey and when I closed my eyes, I danced with the stars above. Yehudi Menuhin was another one we used to listen to. Menuhin was born in 1916 to a family of Belorussian Jews who had immigrated to New York. When Menuhin’s mother, pregnant with him at the time, was looking for a flat to rent in New York, one landlady pointed out how lucky they were as they did not take in Jews (obviously not realising the Menuhins were Jewish). She did not live there but from that moment decided to call her unborn son ‘Yehudi’, which means ‘Jew’ in Hebrew. Menuhin was the other side of musical spectrum to Grappelli: elegant, classical, graceful, serious and distinguished. Grappelli played with his violin and had a naughty, mischievous glint to his eye. Aren’t we diverting from the point somewhat? My apologies. And so it came as no surprise that when I read Gillian Tett’s article in this weekend’s FT magazine on a new documentary film that has just been nominated for an Academy award, ‘Joe’s Violin’, I was impelled to find out more. In brief, the short 24 minute film (that can be watched online on the link provided below), is about the relationship between a 91 year old Holocaust survivor living on the upper west side of Manhattan and a 12 year old girl from a family of Dominican immigrants living in the Bronx. The two were to develop a bond in their shared love of music and find a connection in their refugee pasts. Their lives crossed when Joseph Feingold, (the Joe in the title), heard an appeal on New York public radio for donations of instruments that were to be given to inner city communities. The radio station received 500 on the first day alone and some 3000 in total. So what is Joe’s story? Joe was born in Warsaw in 1923. He was one of 3 brothers and his mother had a beautiful voice. Music meant a great deal to the whole family. He played the violin until the outbreak of the Second World War. When the Germans came in 1939, he and his father escaped to Russian occupied eastern Poland where they spent the remainder of the war in Siberian labour camps; not even the same one. 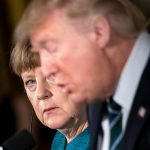 They were separated. Joe was 17 at the time. We tend to hear more about the concentration camps under the Nazis than we do about the Russian operated labour camps where the inhabitants didn’t fare much better. Joe’s mother and youngest brother were both taken to an extermination camp in Treblinka and he never saw them again. Both died. His middle brother was sent to Aushwitz and survived. Following the war, the three were reunited in a in a displaced persons camp in Germany where they lived until they found refuge in America. Joe picked up a violin in an old flea market where he used to walk the streets and play. In 1948 Joe arrived in America, with his violin, and in 1962, he became an architect. When Joe heard the radio appeal for an instrument, his fingers withered with age, he decided to donate his. 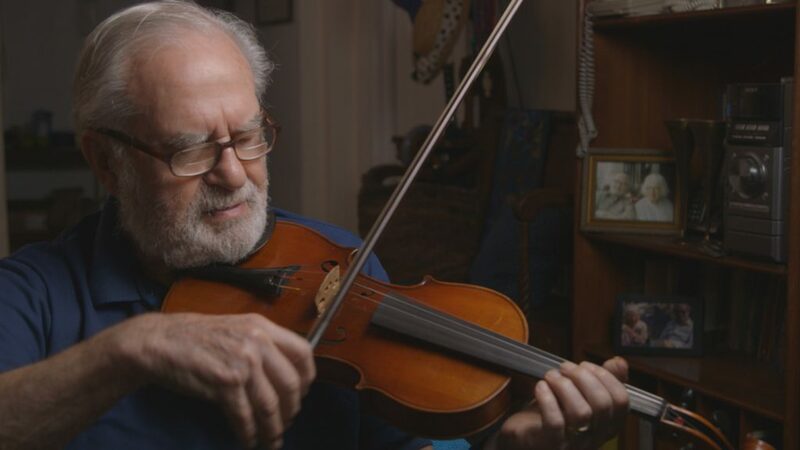 ‘How long’ he says at the beginning of the film, ‘can we live with memories?’ But we must remember, a violin has feelings; or at least, it has the ability to extract feelings from the human soul and relay those back in audible form. It resonates these from its diminutive figure of 8 shell in the sweetest melody imaginable. It is my belief that an instrument, once played, never dies, particularly the violin. Its soul, along with the soul of its owner, lives on. Joe’s soul too will live on in whoever’s fingers caress the violin next and it will go on and on, extracting other people’s stories for years to come, intermingling them with the musical scores it already possesses. The benefactor of the violin, the 12 year old girl Brianna Peres, said that ‘most people find their light’ and her light, she says in the documentary, is in ‘playing the violin’. 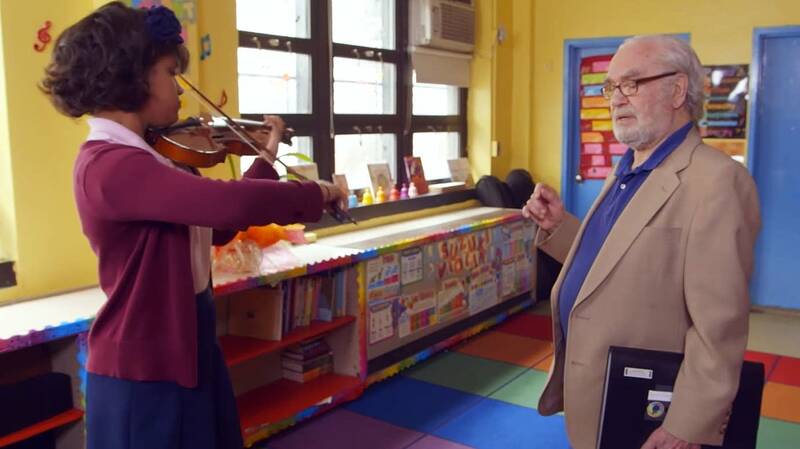 When she leaves her school in the Bronx where every pupil in the all girls school is proficient in the violin, the gift will then be bestowed on another young violinist and Joe’s story will continue through them. When I heard the bit in the film where Joe said that he used to walk the streets and play the violin, it made me think of Grappelli, who initially refused lessons and convinced his father that he could teach himself: he would walk the streets of Paris and listen to street vendors playing the instrument and later met up and played with gypsies. Of course there was a brief stint at the Paris Conservatoire in between. Grappelli, like Joe, was also affected by the war, but the First World War. He was born in Paris to a French mother who sadly died when he was only 4 and his father was an Italian aristocrat/philosophy teacher who was called up in WW1 to fight with the Italians. During this time Grappelli was placed in a Catholic orphanage in France. When father and son reunited after the war, Ernesto Grappelli, the father, was so disgusted with the Italians that he changed his son’s nationality to French. Nobility meant nothing after the war and he had to sell his only suit to buy his son a violin. Aged 15, Stephane would play the piano to accompany silent films in the cinema, helping his father to pay the bills. Michael Parkinson interviewed him on TV once, where he famously introduced him to the more classical violinist, Yehudi Menuhin. Menuhin likened Grappelli’s skills in music to those of a juggler who would send ten plates up into the air and recover them all. The two were to collaborate musically for a short while after that. Like Grappelli, I have always been drawn to the parallels between music and its ability to portray emotion. The musical score to Schindler’s List is a case in point: here the violin weeps and it weeps for every man, woman and child that died during the Holocaust. When I was a young girl and I was sad, I would go into my room and put on my father’s slightly scratched recording of Mendelssohn’s Violin Concerto. It was his mother’s and I still remember how parts of it echoed my sadness and parts of it rubbed ointment into my wounds. My youngest son is named Felix, after Mendelssohn, and also after my great grandfather. He made horse saddles though, my great grandfather that is. Grappelli was a man after my own heart and I had the very good fortune to see him play at the Cheltenham Jazz festival before he died. I also saw Menuhin perform with his son in Bristol at a later date; his son on piano, Menuhin on violin. Grappelli always said that he played best when he was happy or sad; or in love for that matter. When he played he forgot everything: he was able to split into two people and the other one played. Perhaps that is why artists like Joe and other musicians from the Second World War such as my friend’s grandmother Alice Herz Sommer (a pianist who also survived a Nazi concentration camp), were able to survive as long as they did: they had an exceptional ability to separate beauty and ugliness; just as the father and son duo managed to do in the 1997 Italian film ‘La vita è bella’, or ‘Life is Beautiful’, in English. Where does your legacy lie? Not in the bricks and mortar you run to at the end of every dead-end day. Your fashion choices will be skip-fodder before you’re cold and an English man’s castle will be another’s one day. And when you wonder at the way the wind caresses your walk to work, do you ever stop to think of those who saw the saplings first? Those who will yet see the next century’s growth? You are just passing through. This is forever your bottom line. And if you must pass on anything make it you in your everyday; your smile, your chance remarks, the rainbows or storm clouds you leave in the wake of this very second, this exact heartbeat. You are alive in this moment and need nothing else to define you. This is all you own. All you will ever be. And if you must pass on anything make it you in your everyday; your smile, your chance remarks, the rainbows or storm clouds you leave in the wake of every second. Make it your music and your soul. Whether or not you’re a sucker for music and an old romantic like me, I urge you to watch this short film. It’s someone else’s entire life in 24 minutes and in my opinion, it’s a life worth knowing. 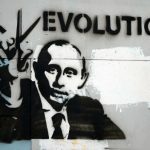 The Centenary of The Russian Revolution: What have we learned? Your writing is full of warmth and excitement.